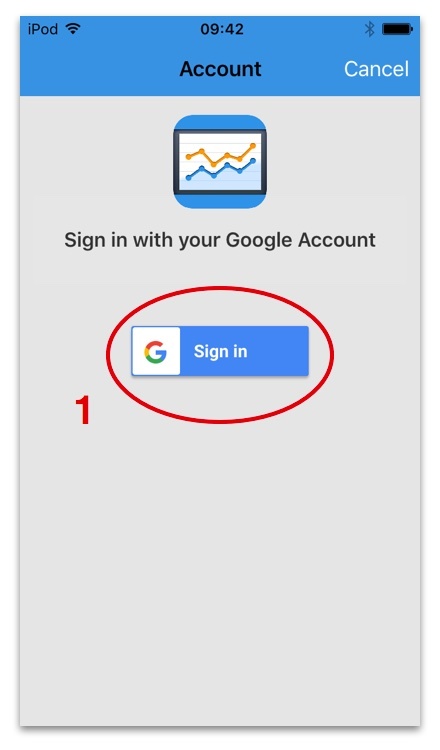 Google Sign-In is a secure authentication system that enables users to sign in using their Google account. 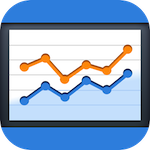 It is used to allow Analytics Pro to view your Google Analytics data. 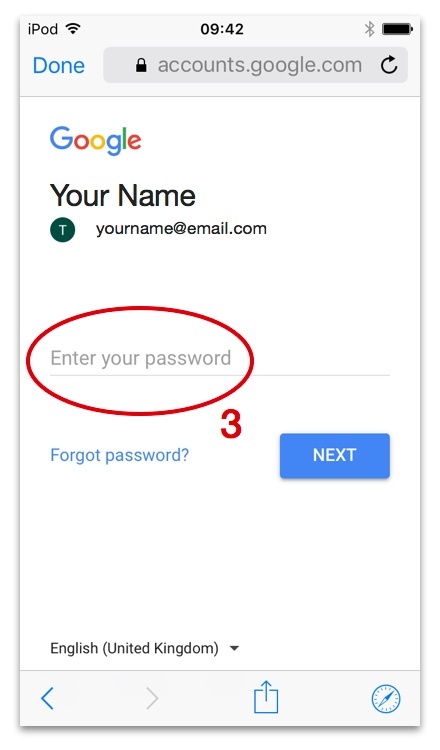 The following instructions show how to authenticate using Google Sign-In. 2) Enter your Email or phone. 5) You are now signed in. 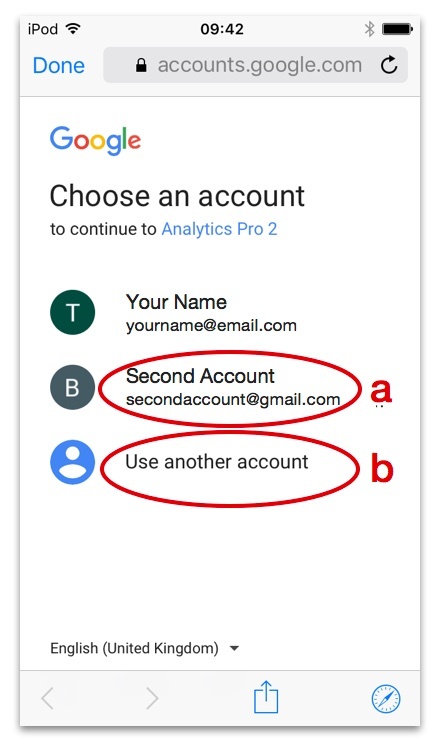 additional Google Accounts using Google Sign-In. 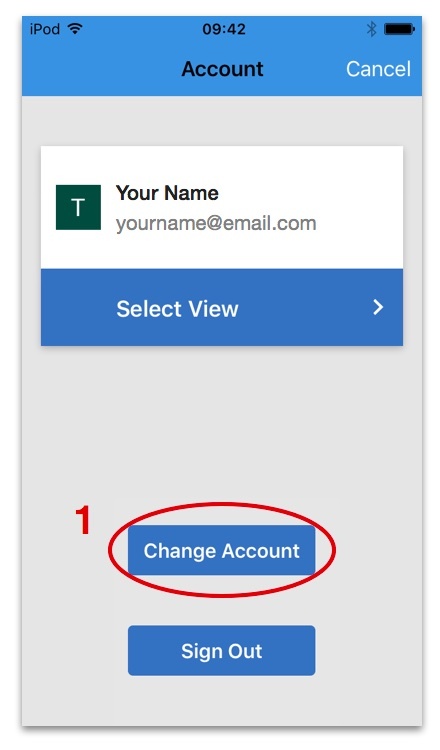 This allows you to easily switch between different accounts. 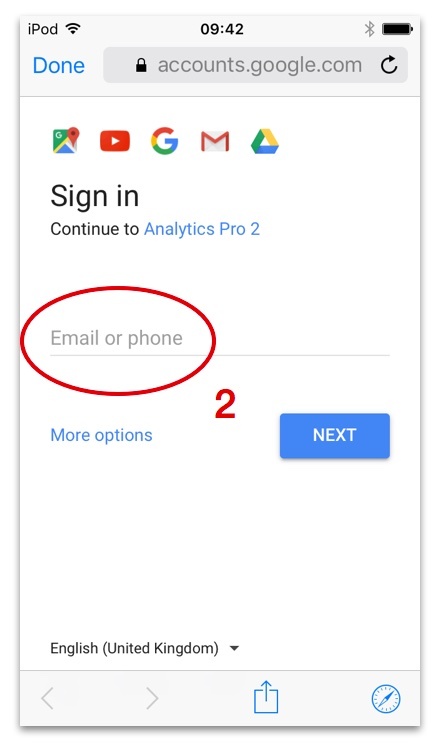 2) The Google Sign-In screen is displayed. 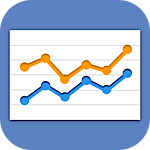 a) Accounts which have already been authenticated are displayed. Use one by selecting it from the list. 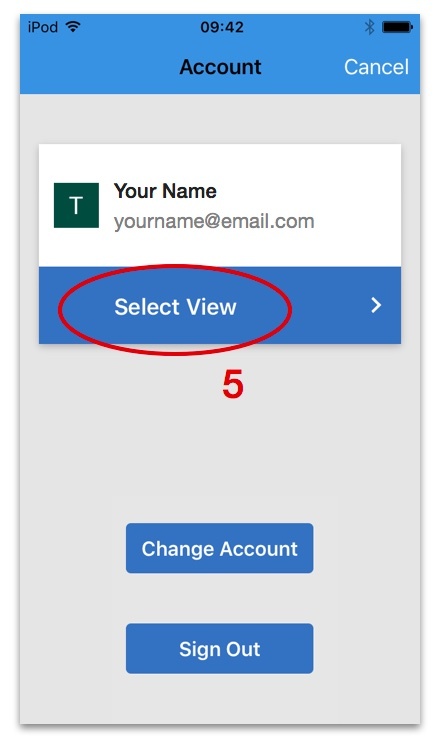 You will then be prompted to enter your email and password. 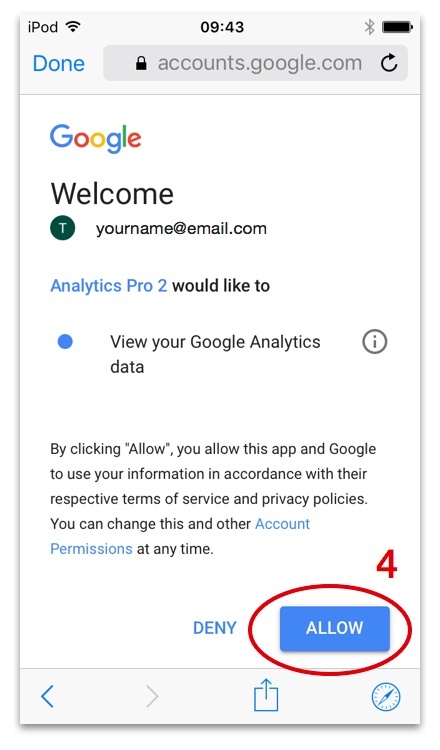 See Google Sign-In instructions from step 2.